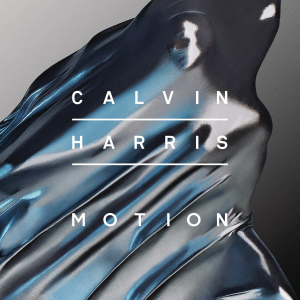 You’ve got to hand it to Calvin Harris, he certainly knows how to make likeable music. Following the crazy success of his record-breaking 18 Months, it would certainly be a hard task to top it, but the Scot is definitely having a good crack at it. I’ll be honest, I didn’t like, in fact I hated, the lead single from Motion- Summer, I can’t stand Harris’ voice on it, yet for some reason everyone still bought it. Then came the John Newman-assisted Blame, which is the Calvin Harris I like- nearly cheesy, fairly predictable, but still; a complete banger. As I said when I reviewed 18 Months, you aren’t going to find genre-defining, era-expanding music on Motion, but what you have is such likeable music that you can’t really complain, despite how predictable and everyday most of the music on the album sounds. However, it’s the intuitive little blips of that make the album as likeable as it is- the choir of vocals towards the end of Blame, the melancholic-yet-contrapuntal Ecstasy, the string/country vibe to Pray To God which features indie rock three-piece HAIM. The vulgar EDM/electro sound that the scene is plagued with nowadays rears its ugly head, even on this pop record with Overdrive, and along with Burnin’ and It Was You, makes for shocking tracks that are not only unlistenable, but also stick out like sore thumbs within an album made up of poppy, radio-ready tunes. Unfortunately Mr Harris, your time to move away from your formula has long been-and-gone, you’re a pop producer now, and by chucking these into Motion won’t give you any more diversity or credibility, stick to what you can do. As I said, on the whole it’s a pleasurable listen, chirrups from Ellie Goulding, tuneful drops, and the trademark Harris keys are all here like on his last album, so established fans can look no further. But, again as I’ve already mentioned, it’s just a pop/dance album, and that’s all it’ll ever be. But then again, I think that’s all Harris intended it to be, and is there anything really wrong with that? He’s playing to his strengths, and my God is he good at it.